Under normal circumstances is a colorless or white crystalline, granular or powder. No smell, taste bitter. The quality is hard. Chemically inert. Stable in the air. The density of 2.66g/cm3. Melting point 1069 degrees Celsius. Aqueous solution was neutral; room temperature pH is about 7. 1g dissolved in 8.3ml water, 4ml, glycerol 75ml boiling water, insoluble in ethanol. Military industry is used for smoke eliminating agent shells. Agriculture is used as a chemical fertilizer. 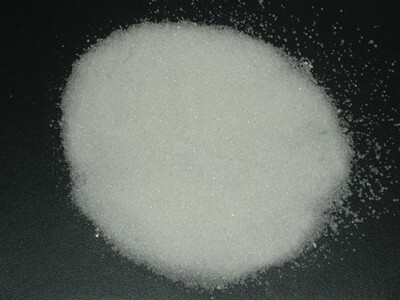 Is the manufacture of potassium salt of raw materials. Dye industry for use as intermediates. Glass industry as precipitation agent. In medicine as a laxative. Spice industry used as auxiliaries. The food industry as a general additive. Also used for serum protein biochemistry laboratory. Lined with polyethylene film bag PP woven bag packaging, Net weight of each bag 25kgs, 50kgs, and 1000kgs. Storage of ventilation and dry warehouse. Packing seal, avoid damp, transportation prevent rain melting loss. Add: Room 102, Huizhi Science & Technology Building, No 370, Baling East Road, Yueyang Hunan, China.